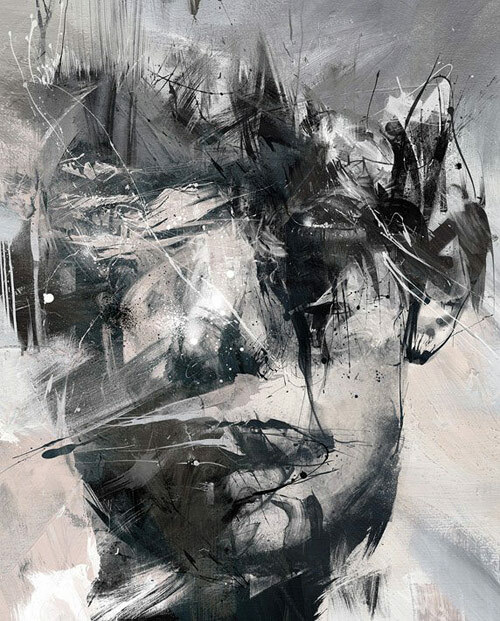 What a weird pleasure to discover the work of Russ Mills through Booooooom. He's called it Byroglyphics, which is lucky as I don't think there's any other single genre his work would fit into. I didn't think that the magical New York portrayed in Karsten Staiger's New York Love Story existed before I spent time there in 2008. The steamy manhole covers, the breeze up from the subway grates, the water towers; I thought it was all film sets. The New York Love Story series captures my fascination with the odd tranquility of the industrial landscape. The buildings are like old and tired giants resting while New Yorkers busy themselves around them. For me it's a combination of the viewpoints, the haunting skies and the light of the city carrying on below. It must be quite boring watching films as an American. Think for us Brits how different a film set in the contemporary UK feels to a more conventional hollywood film. Switch it around and wouldn't people in the US get that for nearly every film they ever watch? Anyway. These images are beautiful. Extra bonus that lots of them are taken around my temporary stomping ground at 23rd Street and 8th Ave. There are a lot more in higher quality and size over on the project website: New York Love Story. Thanks to Feature Shoot for the tip. Animated .gif images seem to be undergoing some sort of renaissance amongst the tumblr set, but it's still refreshing to see a new creative application - I love these almost-stills by Jamie Beck. There's something quite reflective in the stillness that's completely brought to life by the small, magical movement. As Laura says on her See Hear Say blog, there's a whole load of other great photography and fun over on Jamie Beck's website, including great coverage of the Governor's Island Jazz festival, which I hope I'm able to get to one year. Vicky Newman is an awesome illustrator working in London and the South East. If you're a fan of skateboard art, you may know of her as co-founder of the decked project. I've been along to a few of those shows and I've always been struck by Vicky's combinations of line and colour so I thought it was about time to do a little post featuring some of her work. The quote above caught my eye whilst looking at the post about Robert Montgomery on Lost at E Minor. It's been a funny month. I like this one too. for me there's something quite timeless and disconnected about the work, probably arising out of the situation but also the minimal punctuation. It's almost a more adult intervention than some of the adbusters stuff, I don't know. On a similar note to my previous post about Ross Racine, Lost at E Minor has tipped me off about Jim Darling and this series of landscapes painted through the eyes of an airplane window. I love the contrast between the near-realism of the fuselage frame and the abstract shapes in the landscape below.